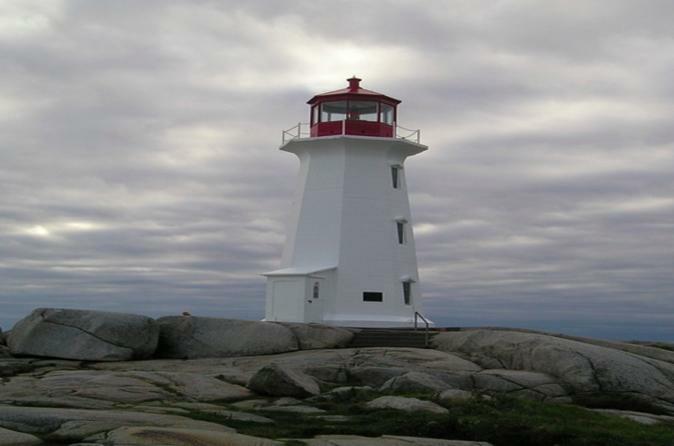 This amazing shore excursion offers stunning scenery, good gift shops and the famous Peggy Cove lighthouse. You will see all Halifax has to offer and one of our favourite attractions in Nova Scotia. This is a great half day tour making your day ashore at Halifax one to remember. Come and see one of Canada's most visited places! Your half day ashore starts with a popular excursion through Halifax, it is the biggest city east of Montreal and the capital of Nova Scotia. Halifax was founded in 1749 to protect British interests in North America. The area is steeped in maritime history and some of the great highlights you will see include the Grand Parade Square and the central square of the original town. Canada's oldest Anglican Church St. Paul's church, is located in the square. From here we visit West Dover, a small fishing community with a population of just 275 people offering a fascinating and remarkable setting. Then we head along the beautiful coastal road to Peggy's Cove. As soon as you arrive you will be enchanted by the lighthouse located on the edge of the ocean and the quaint fishing village, Peggy's Cove attracts thousands of visitors each year. Nestled on the rocky shoreline of St. Margaret's Bay, the area offers stunning, world-renowned scenery. During your tour here we get to view the Devonian Granite Rock Formations , these influenced they way the landscape around Peggy's Cove was created. Boulders that seem to grow out of the fields of moss and shrubs are a gigantic 350- to 415-million-year-old. They were scattered by retreating glaciers about 10,000 years ago at the end of the last ice age. Whilst we head back to Halifax, we enjoy a photo stop at the Halifax Citadel. This hilltop area allows guests a stunning panoramic view of the city and harbour, creating a great finish to your half day shore excursion.